The Ra-Ikane I, II and III, offer a variety of cruises, including breakfast, lunch and sunset, as well as private charters. These boats represent the grace of a bygone era and honour the rich history of Victoria Falls and its explorers, adventurers and heroes. The Ra-Ikane fleet is owned and operated by Ilala Lodge Hotel, and provides unique and unsurpassed river cruises on the mighty Zambezi River. Fashioned after David Livingstone’s exploration boat, the Ma-Robert, the Ra-Ikane boats are named after the instrumental guide, Lazarus Ra-Ikane, who accompanied and assisted Livingstone in his monumental discovery of the natural wonder, Victoria Falls. The monohull design of the Ra-Ikane boats enables them to navigate further up the Zambezi River and bring guests closer to the banks in the shallow water and, therefore, closer to all the action! With lots of space on the flat deck and a maximum of 16 passengers, there is plenty room to make yourself comfortable. The well-appointed Ra-Ikane fleet was built to ensure that each guest is able to experience the wild beauty of the Zambezi River with ease and style. 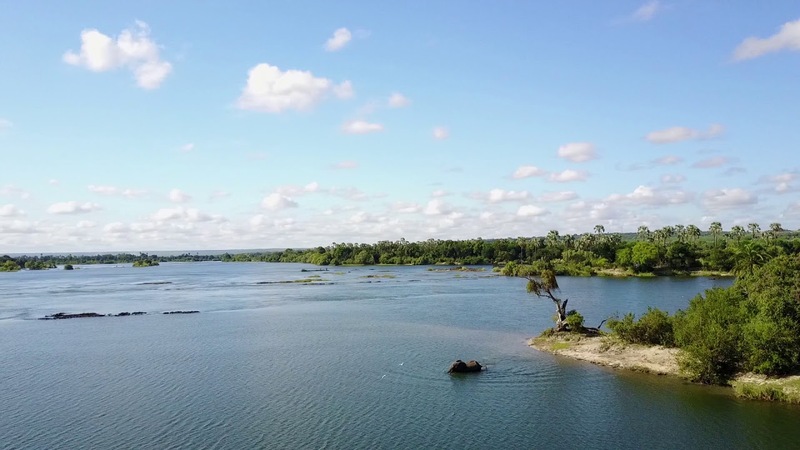 Our boats take a circular route around the islands to provide guests with a panoramic view of the upper and lower Zambezi River and the wildlife and birdlife it offers. Each Ra-Ikane boat has its own crew, made up of a friendly and knowledgeable captain, guide and waiter to ensure that you can sit back and enjoy the ride. Have breakfast with bathing elephants and busy birds in the buzz of the early morning African bush! A perfect start to any day is cruising up the Zambezi River immersed in the early morning activity aboard the Ra-Ikane Breakfast Cruise. The small boat set up will allow you to silently immerse yourself in your surroundings with ease whilst enjoying aromatic freshly brewed coffee and tea, juices and spring water to accompany your continental breakfast, fresh fruits platters and other delicious breakfast treats. The Zambezi River is well-known for its legendary bird watching safaris as the meandering river supports a lively riverine ecosystem along its banks, drawing in a wide variety of birds. And what better way to enjoy a birding safari, than serenely cruising along the Zambezi River on a birdwatching cruise. This cruise includes a delicious continental breakfast with fresh pastries, platters of fruits, cheese and biscuits accompanied by local fresh quality coffees, teas, juices and water. Find peace and solace in the midday heat cruising in comfortable luxury aboard the Ra-Ikane Lunch Cruise. Lunch is an abundant buffet of cold meats, fresh salads and other delicacies prepared by the chefs from the highly acclaimed Palm Restaurant. Drinks are bottomless and the service is impeccable aboard one of the most beautiful boats on the Zambezi River. An afternoon delight for the body, soul and mind. There is no better way to end a day of adventuring in Victoria Falls, than sitting back and relaxing with an ice cold sun-downer in hand and soaking up your surroundings. Our Sunset Cruise includes unlimited premium drinks, gourmet snacks and an abundance of wildlife and birdlife sightings. To top it all off, the cruise will end with a spectacular sunset over the Zambezi River.